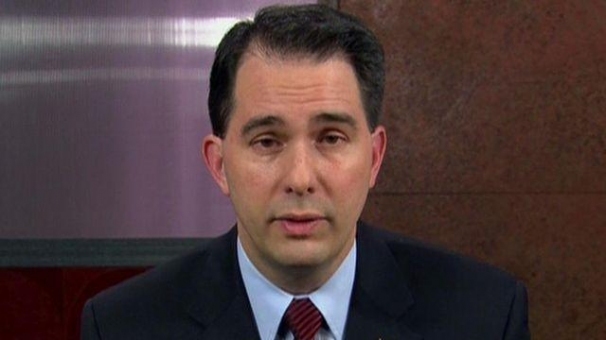 [Updated] On December 22nd, this blog carried the first disclosure that WI GOP Gov. Scott Walker's "chamber of commerce mentality" Department of Natural Resources, (see part five of a recent series about his redefining the agency, here), had again deleted from taxpayer-paid, public web pages wording and information about climate, climate change and its human causation. 12/28/16 - - About scrubbed WI climate change page, Snopes says "True"
Its also important to remember that Walker is adding to the release of greenhouse gases in Wisconsin by having blocked a federally-financed Amtrak line between Milwaukee and Madison that was part of the Midwest High-Speed Rail program, killed a state-owned power plant conversion in Madison from coal to biomass, actively blocked wind farm construction projects, discouraged solar power by allowing through the Public Service Commission higher installation fees, expanded highway financing while cutting local transit assistance, tried unsuccessfully to end all state support for recycling, and has opened more state land, shorelines and forests to clearing and development. He also slashed the DNR's budget, cut the agency's science positions, unsuccessfully tried to end several University system environmental programs and, separately, to convert the DNR's long-standing policy oversight board to advisory status-only, and sued the federal government over clean air rules though several lakeshore counties with a history of ozone pollution will be out of compliance in 2017, regardless of DNR spin. Among his earliest actions as Governor was an executive suspension of a wetland-filling permit application filed with the DNR by a Walker donor/developer for a project in northeastern Wisconsin, followed by a special Legislative bill he introduced and signed to shut down the review. The initial tenant for the project - - a national fishing and hunting equipment vendor - - pulled out over the resulting controversy, but eventually another tenant was found and the development was completed. Since then, it's been six years of "chamber of commerce mentality" planning and policy atop the DNR, and coordinated with the PSC and GOP-led Legislature and a compliant right-wing majority State Supreme Court and Attorney General - - all aligned by Walker to serve special interests, not the people.